Tonight unidentified people painted the star on one of Stalin’s skyscrapers in the center of Moscow in the colors of Ukrainian flag and raised the Ukrainian flag over it. Historical event happened today at the ongoing European Union summit in Brussels. 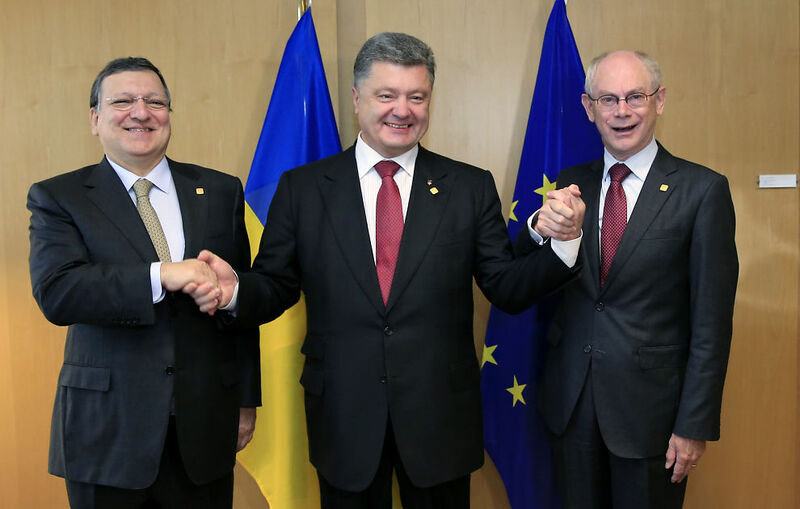 Ukraine and the EU signed the economic part of the association agreement with the EU. Political part of the agreement was signed in March 2014. “By signing the association agreement, Ukraine, as a European state, which has the same values of the rule of law, emphasizes its sovereign choice to become a member of the EU in future” – said President of Ukraine Petro Poroshenko before the signing ceremony. After counting most of the votes in early presidential elections in Ukraine, Petro Poroshenko, who is seeking integration with the West, has won with the result of about 53%. 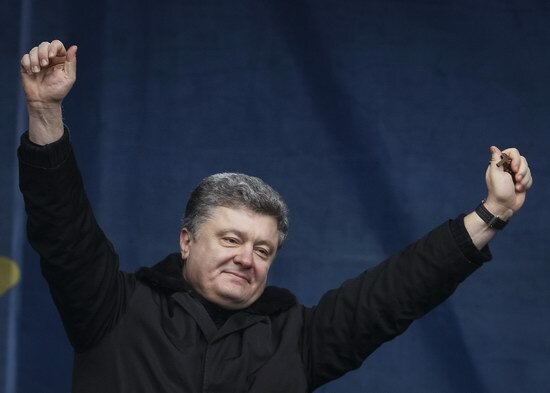 First time in the history, Ukrainian president is elected in the first round. These were the first elections in two decades in independent Ukraine when the head of state is elected not in confrontation of the inhabitants of East Ukraine and West Ukraine. 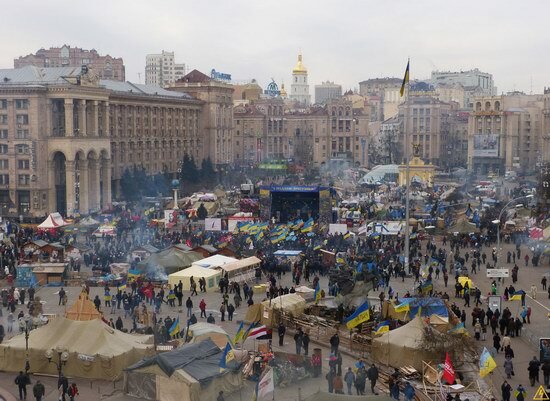 People all over Ukraine have elected their new president. The new president will face a number of challenges – armed conflict in the south-east of the country, economic reforms, normalization of relations with Russia and many others. 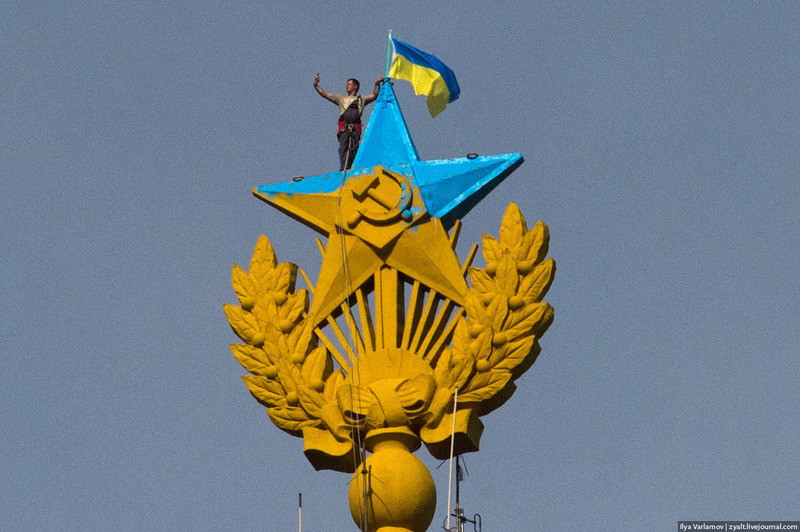 We want to wish good luck to Ukraine and its new president! 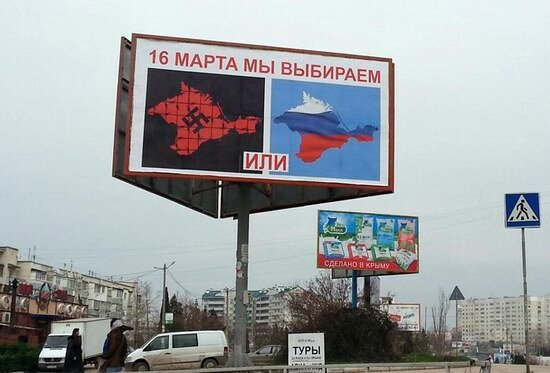 Currently, there is certainly some tension in the Crimea, but in many ways it is not so critical as it looks from the outside. 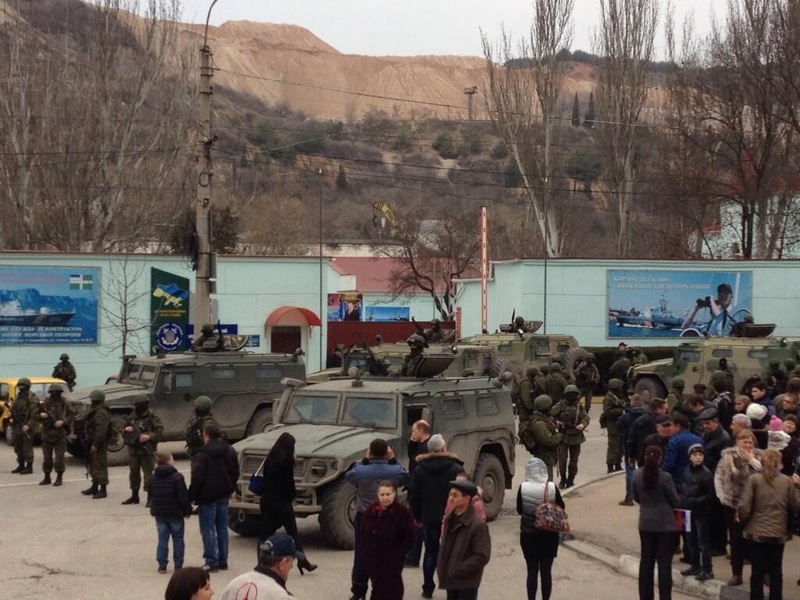 People in the Crimea are united by one idea – they don’t want war. 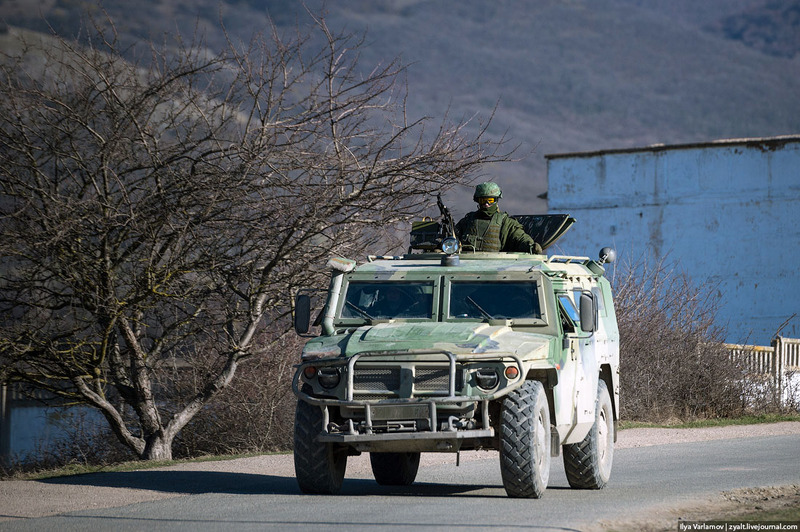 There are unidentified soldiers in the Crimea, though in recent days the number of them has become somewhat less. Their main activities take place near military units of the Ukrainian army. The situation with the soldiers remains unclear. Breaking news. Upper House of Russian Parliament voted to approve sending Russian armed forces on the territory of Ukraine. It was done by Putin’s request because of the “extraordinary” situation in Ukraine and threats to life of Russian citizens, the personnel of the military contingent of the Armed Forces of the Russian Federation located in accordance with the international agreement on the territory of Ukraine (Autonomous Republic of Crimea). Fortunately, confrontation of Ukrainian people with police special forces is in history now. 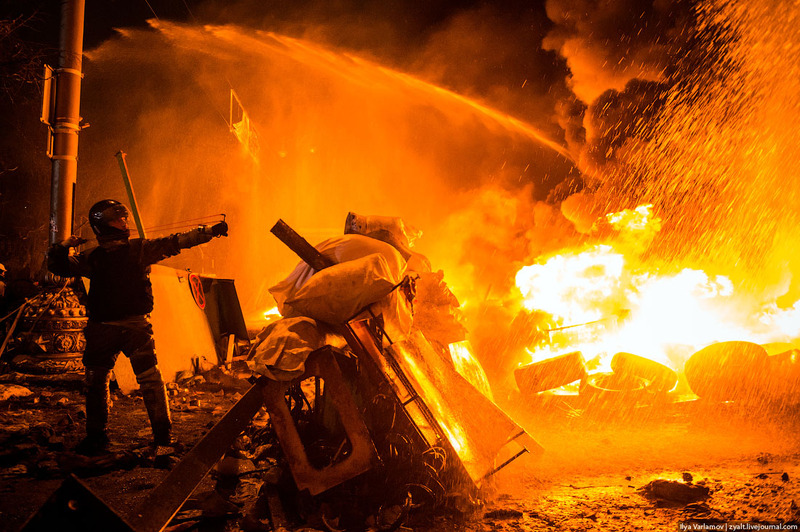 Today, the central part of Kyiv is safe. Today, the Parliament of Ukraine voted for the ouster of the President Viktor Yanukovych, and appointed new presidential elections on May 25. Yanukovych left Kyiv and protesters occupied his residence located nearby. Here is a number of photos takes inside the residence abandoned in a hurry. Viktor Yanukovych loved living on a grand scale. 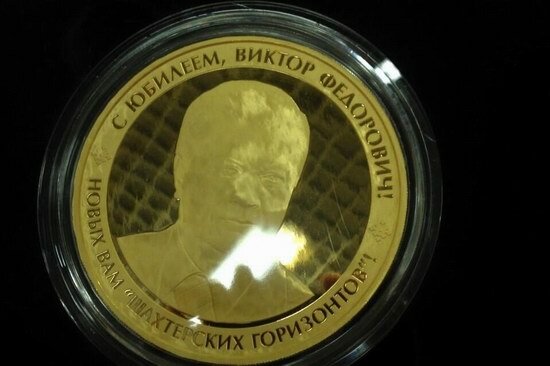 For example, here is a nice looking 1 kilo gold medal with his portrait. There are several common misconceptions about Maidan and the situation there. The first one is that almost the entire Kyiv is literally destroyed. This is not true. All the pictures of confrontation that you can see were taken on one relatively small area near the entrance to the Dinamo Stadium, it is government quarter. Photos are of course apocalyptic, but it is actually not that bad. 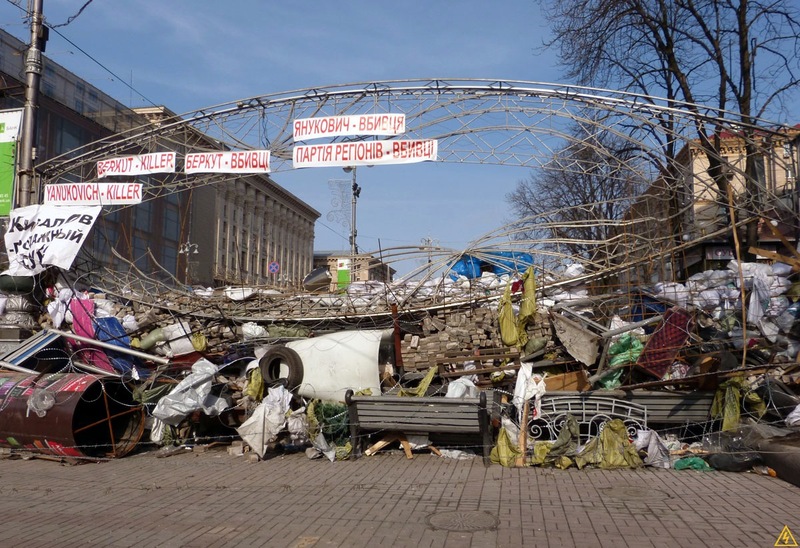 Euromaidan is a mass multi-day protest on Independence Square (Maidan Nezalezhnosty) and adjacent streets and squares in the center of Kyiv and other Ukrainian cities. It began November 21, 2013 in response to the Ukrainian government suspension of preparatory process for the signing of an association agreement between Ukraine and the EU.